Last September, we wrote about the different types of pressure and how each type is referenced. This post discussed atmospheric (barometric), absolute, gage, vacuum, differential, and hydrostatic pressure. For a refresher on these pressure types, click here. This post will expand on last September’s post by listing some more key pressure measurements and explaining their importance. When considering a pressure transmitter, it is important to understand the different pressure range limits of your system. First, the amount of pressure a transmitter can withstand depends on whether or not the system is active. Static pressure is “the pressure of a fluid at rest,” so maximum static pressure is the highest pressure that a resting system can withstand. The operating or working pressure is “the highest amount of pressure under which a piece of equipment can be safely operated.”  Operating pressure is sometimes known as MAWP, or maximum allowable working pressure. Overpressure occurs when the maximum operating pressure of a system is exceeded and is frequently overestimated when designing systems. 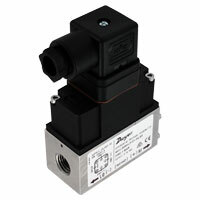 The Dwyer Differential Pressure Transmitter, Series 629HLP, was designed to withstand water static pressure up to 365 psi (25 bar) while still measuring differential pressure of less than 1 psi within 1% accuracy. It is truly a rugged, versatile, high accuracy device that provides excellent response time and reliable static or dynamic measurements. The 629HLP is available in four differential ranges: 0 to 14.5 psi (1 bar), 0 to 36 psi (2.5 bar), 0 to 58 psi (4 bar), and 0 to 87 psi (6 bar). Next PostNext Work Smarter, Not Harder. Hydronic Balancing Simplified.